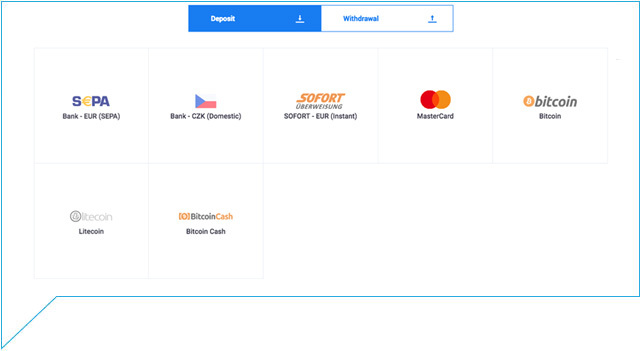 SOFORT payment transfer has been added and is now available for traders in Austria, Belgium, Germany, Italy, the Netherlands, Poland, Spain and Switzerland. The fees for using this payment method are an extremely low 1.5%. SOFORT is a secure system with instant payment transfer capabilities. Those traders who are located in countries that support SOFORT should find it very convenient. Additionally, we have enabled Mastercard payment options for all of our European clients. 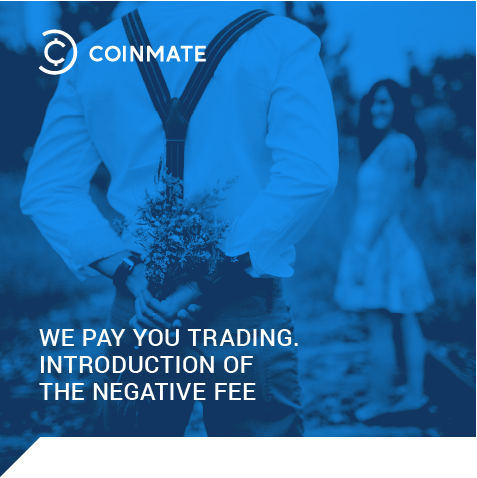 Coinmate fees for funding your account with Mastercard are among the best the market has to offer, and range from between 3.8% and 3.98%. You can find out more on our fees page. Visa card payments will also be accepted in the very near future. Our Visa payment method is already in the test environment and should be available for clients very soon. 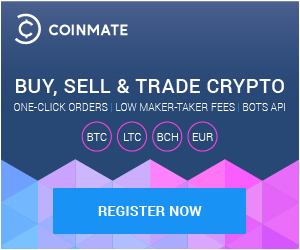 2015 has been a great year for CoinMate thanks to our thousands of customers who’ve joined our exchange over the past year. We’re a year and a half since we announced our existence, and just over a year since we began testing the exchange. This built on us completing the Starcube.cz Acceleration in Czech Republic with our other bitcoin payments platform, Bitcoinpay.com, which has gone from strength to strength, including our recent partnership with the largest Czech payments gateway, GoPay. Since the start of 2015, we’ve had a huge amount of encouragement from the local bitcoin scene, and notable shoutouts to Slush for the new version of the mining pool, and the guys in SatoshiLabs who’ve brought a lot more security to the bitcoin scene, through their Trezor wallets. We adopted these to secure all of our client funds during the year, and haven’t looked back. From our customers, we’ve had great engagement through our support channels, and participation in surveys throughout the year which have helped guide our development, and bring a better bitcoin exchange platform to Europe, our way. So we’d like to say a big thank you to all our customers who’ve helped us grow to now the number 9 or 10 in the Bittybot European Bitcoin exchange rankings regularly for some time now. 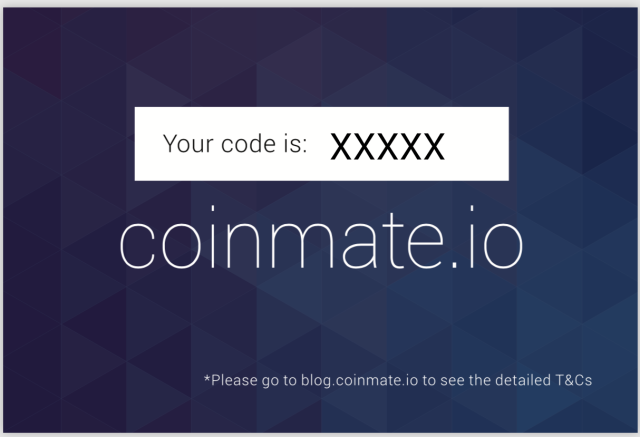 We also want to let you know that our support team will be keeping an eye on things, and if you do need help, please use the logged in Support link at https://coinmate.io/pages/secured/support.page . 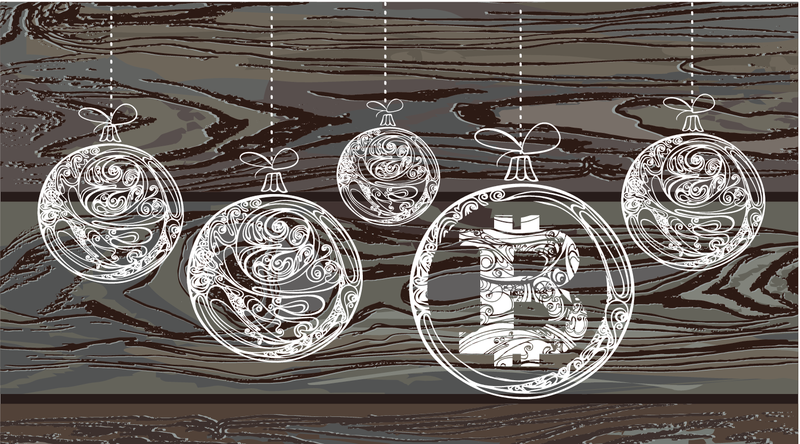 So thank you from all the team at CoinMate.io, we hope you all have a great Christmas, and a fantastic 2016. To celebrate our recent integration with MoneyPolo, here at the CoinMate.io Bitcoin Exchange, we thought we’d like to run a promotion. Starting 3rd August, we will start a promotion to help test the function, and get some feedback on how easy it is to exchange cash for bitcoin using their payment process. So to participate, you need to do the following. 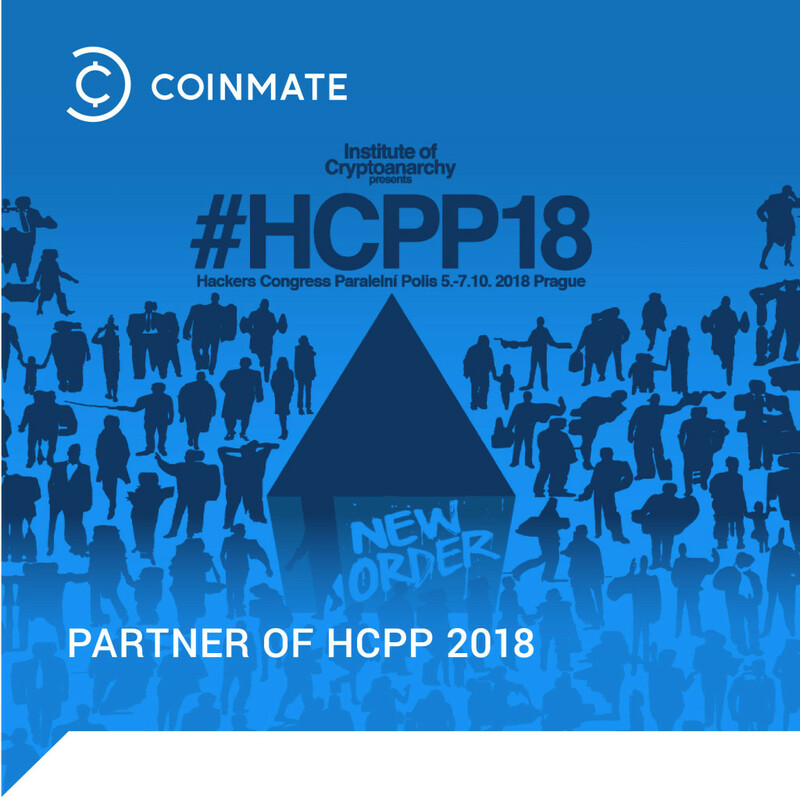 Pre-requisite is to have a verified MoneyPolo account & CoinMate.io already. You can do a basic verification to enable MoneyPolo on your account by verifying your details. You can deposit and withdraw in your local currency, but deposits and withdrawals will be transacted in EUR, using the MoneyPolo exchange rate. * Deposit cash to your MoneyPolo account, and take a photograph of the store, and receipt. You can find a local MoneyPolo outlet here. 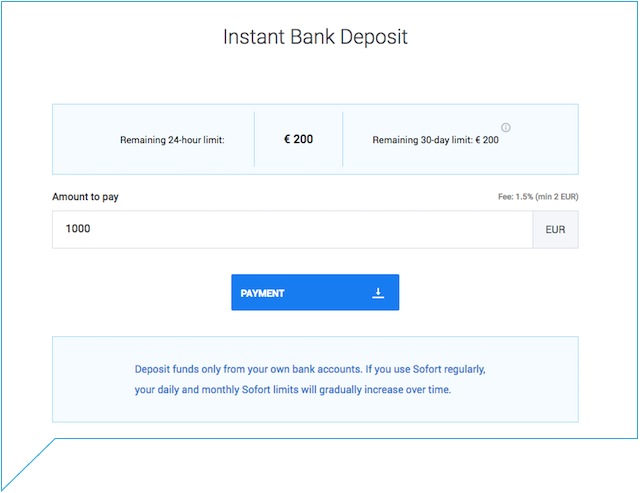 * Deposit funds to your CoinMate.io account, via the Finances page using MoneyPolo. * Then send an email to us via the support page, attaching the two photographs. * Sell Bitcoin on your account. * When getting cash, take a photograph of the store, and receipt. You can find a local MoneyPolo outlet here. We will run a draw every week, and the first person from a new country to deposit or withdraw who does meeting the criteria specified, will have €20 credited to their CoinMate.io account, and will be announced in a blog post. One entry per individual, regardless of how many accounts you have. Current countries already tested (and therefore not included) will be published every week. But to start with, every country is eligible 🙂 So be the first to make a MoneyPolo deposit or withdraw to cash in your country. Note: If we publish images related to your transaction, these will have sensitive information blacked out. Feel free to black them out before you send them in. 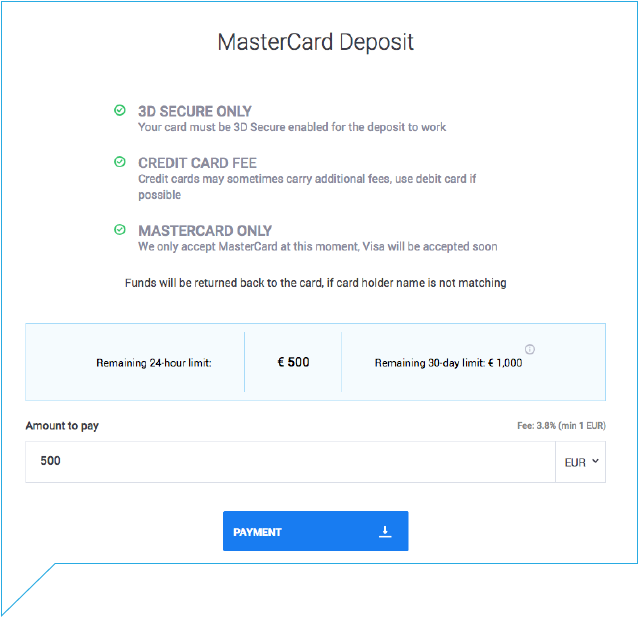 So a little while back, we had made some changes to the fees structure, particularly the introduction of euro deposit fees. We had hoped these would be temporary, and we have good news for those of you using Euro SEPA deposits. If you visit your verification page, you will be able to verify your account to different levels. Bitcoin-only trading requires just a verified email address. Trading with a supported OKPay or Moneypolo account require some information, while use of bank transfers requires identify documentation. Higher volume traders need to submit a signed declaration to high-volume limits. We have also been able to reduce the costs of our exchange through strengthened verification, and are passing these savings on to our customers. Transfers sent in currency other than EUR will be converted using Yahoo Finance rates -+0.5% spread. We are ready to announce a new partnership with leading UK regulated payment provider MoneyPolo.